Easily identify your subjects by title and color with our new writable LegalStore Exhibit Labels. Save valuable time in both the office and the courtroom by organizing your Exhibits with these high quality, permanent, self-adhesive stickers. This Great Value comes as a package of 250 self-stick 1-1/2" x 1" labels. 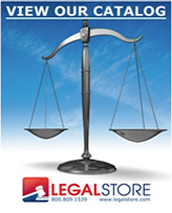 ALL LEGALSTORE BRAND EXHIBIT LABELS COME LASER COMPATIBLE ON 8.5X11 SHEETS. Choose from the following titles and colors.